Sometimes ago, I published “The Story of the Gold Rush: Learn this Important Little Known Secret” which was written as a guest post by Mk Akan. The post was about the lessons everyone should learn from the story of the California gold rush. 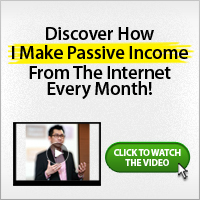 The lesson would help you make real wealth in your online business. Today, I’m going to be sharing the story about the California Gold rush because one of the readers of Make Money Online Nigeria made a request for it. If you desire gold, I need you to please read this story and learn from it. The discovery of gold nuggets in the Sacramento Valley in early 1848 sparked the Gold Rush, arguably one of the most significant events to shape American history during the first half of the 19th century. As news spread of the discovery, thousands of prospective gold miners travelled by sea or over land to San Francisco and the surrounding area; by the end of 1849, the non-native population of the California territory was some 100,000 (compared with the pre-1848 figure of less than 1,000). A total of $2 billion worth of precious metal was extracted from the area during the Gold Rush, which peaked in 1852. Though Marshall and Sutter tried to keep news of the discovery under wraps, word got out, and by mid-March at least one newspaper was reporting that large quantities of gold were being turned up at Sutter’s Mill. Though the initial reaction in San Francisco was disbelief, storekeeper Sam Brannan set off a frenzy when he paraded through town displaying a vial of gold obtained from Sutter’s Creek. By mid-June, some three-quarters of the male population of San Francisco had left town for the gold mines, and the number of miners in the area reached 4,000 by August. Throughout 1849, people around the United States (mostly men) borrowed money, mortgaged their property or spent their life savings to make the arduous journey to California. In pursuit of the kind of wealth they had never dreamed of, they left their families and hometowns; in turn, women left behind took on new responsibilities such as running farms or businesses and caring for their children alone. Thousands of would-be gold miners, known as ’49ers, travelled overland across the mountains or by sea, sailing to Panama or even around Cape Horn, the southernmost point of South America. By the end of the year, the non-native population of California was estimated at 100,000, (as compared with 20,000 at the end of 1848 and around 800 in March 1848). To accommodate the needs of the ’49ers, gold mining towns had sprung up all over the region, complete with shops, saloons, brothels and other businesses seeking to make their own Gold Rush fortune. The overcrowded chaos of the mining camps and towns grew ever more lawless, including rampant banditry, gambling, prostitution and violence. San Francisco, for its part, developed a bustling economy and became the central metropolis of the new frontier. The Gold Rush undoubtedly sped up California’s admission to the Union as the 31st state. In late 1849, California applied to enter the Union with a constitution preventing slavery, provoking a crisis in Congress between proponents of slavery and abolitionists. According to the Compromise of 1850, proposed by Kentucky’s Senator Henry Clay, California was allowed to enter as a free state, while the territories of Utah and New Mexico were left open to decide the question for themselves. After 1850, the surface gold in California largely disappeared, even as miners continued to arrive. Mining had always been difficult and dangerous labor, and striking it rich required good luck as much as skill and hard work. Moreover, the average daily take for an independent miner working with his pick and shovel had by then sharply decreased from what it had been in 1848. As gold became more and more difficult to reach, the growing industrialization of mining drove more and more miners from independence into wage labor. The new technique of hydraulic mining, developed in 1853, brought enormous profits but destroyed much of the region’s landscape. Though gold mining continued throughout the 1850s, it had reached its peak by 1852, when some $81 million was pulled from the ground. After that year, the total take declined gradually, leveling off to around $45 million per year by 1857. Settlement in California continued, however, and by the end of the decade the state’s population was 380,000. Recent scholarship confirms that merchants made far more money than miners during the California Gold Rush.The wealthiest man in California during the early years of the rush was Samuel Brannan, the tireless self-promoter, shopkeeper and newspaper publisher. Brannan opened the first supply stores in Sacramento, Coloma, and other spots in the gold fields. Just as the rush began he purchased all the prospecting supplies available in San Francisco and re-sold them at a substantial profit. However, some gold-seekers too made substantial money. For example, within a few months in 1848, one small group of prospectors working on the Feather River retrieved a sum of gold worth more than $3 million by 2010 prices. On average, half the gold-seekers made a modest profit, after taking all expenses into account. Most, however, especially those arriving later, made little or wound up losing money. Similarly, many unlucky merchants set up in settlements which disappeared, or which succumbed to one of the calamitous fires that swept the towns that sprang up. By contrast, a businessman who went on to great success was Levi Strauss, who first began selling denim overalls in San Francisco in 1853. Other businessmen, through good fortune and hard work, reaped great rewards in retail, shipping, entertainment, lodging, or transportation. Boardinghouses, food preparation, sewing, and laundry were highly profitable businesses often run by women (married, single, or widowed) who realized men would pay well for a service done by a woman. Brothels also brought in large profits, especially when combined with saloons and gaming houses.